Grantec Engineering Consultants, Inc., provides advanced analysis services to clients that develop complex structures for a wide range of applications. Richard M. Grant, company founder and president, has built significant expertise over the past 25 years in analyzing structures that must withstand substantial forces—including his work as the principal structural analyst on the Canadian Navy Maritime Coastal Defense Vessel, a sophisticated minesweeper. When he founded Grantec, Grant realized he would need a robust, flexible, and affordable set of analysis tools in order to meet his clients’ diverse engineering challenges consistently, efficiently, and cost-effectively. Grantec selected SOLIDWORKS Simulation Premium, including SOLIDWORKS Motion, to support its advanced structural analysis needs because of the software’s ease of use, complete set of capabilities, integration with SOLIDWORKS Premium CAD software, and value. The productivity gains Grantec has realized using SolidWorks Simulation are significant. The software has benefited projects ranging from large, flexible marine riser systems used for offshore drilling, which must withstand the forces generated by ocean waves reaching 22 meters and higher, to large research pressure vessels, which must withstand seismic shocks. “We used SOLIDWORKS software analysis tools on the design of the Trident Enhancement Vacuum Chamber for the laser facility at Los Alamos National Laboratory,” Grant explains. “The chamber provides confinement for weapons and physics research. 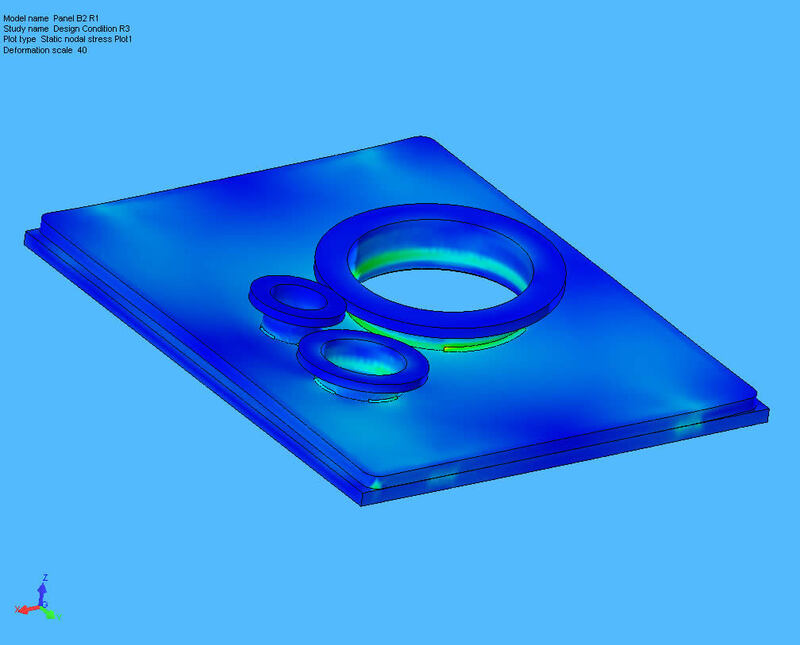 The Fast Finite Element solver was a big advantage in analyzing the stability of the chamber under external loads. We performed seismic, thermal, deflection, and nonlinear buckling analyses to assure a high level of integrity for the chamber. “We conducted similar analysis and design efforts, including fatigue analysis, for a large research vacuum chamber used in conjunction with the US Department of Energy’s Neutron Acceleration Project,” Grant adds. The firm relied heavily on SOLIDWORKS software gap and contact elements to conduct detailed assessments of the response of a range of specialized welds on the Trident Enhancement Vacuum Chamber for Los Alamos National Laboratory. In addition to providing Grantec with a full range of analysis capabilities, SOLIDWORKS CAD software expands the firm’s ability to handle various forms of compatible design data, and improves its ability to communicate analysis results to customers. “Most of the people we deal with are using SOLIDWORKS CAD software, and come to us for advanced SOLIDWORKS software analysis capabilities,” Grant points out. “Our solution is also compatible with other design platforms because we can import all of the leading CAD formats into SOLIDWORKS Simulation. When company president Richard M. Grant founded the company, he realized he would need a robust, flexible, and affordable set of analysis tools in order to meet his client's diverse engineering challenges consistently, efficiently, and cost-effectively. The company selected SOLIDWORKS Simulation Premium and SOLIDWORKS Motion analysis software for advanced structural analysis because of the software's ease of use, complete set of capabilities, integration with SOLIDWORKS Premium 3D CAD software, and value.